Our next-generation 2.ZERØGRAND Chukka offers a remarkably innovative upgrade on tradition and seamlessly integrates craftsmanship with features that rival top-of-the-line running shoes. Shoes look nice and lightweight. However they are narrow. I should have gotten a bigger size. Wore these in a recent trip overseas for 2 weeks straight. They were ok but not as comfortable as other cole haan shoes. Highly recommend!! Best wearing shoe I’ve ever had. Recieved multiple compliments on them. Look good for dress or casual!! Bought a second pair!!?? Can’t tell you how much I love this shoe! It’s very comfortable, light, and versatile. The leather quality is excellent and you can dress these up or down. They are also sleeker and more modern than many of the Chukka styles. Absolutely the most comfortable work shoes I've ever owned. I have three pair of ZeroGrand's in different colors and was hesitant to order the Chukka's, due to them coming over the ankle. My husband loves these shoes I got him for his birthday. After being on his feet all day he comes home and puts these on and said they feel amazing. He’s particular about his shoes and these pass with flying colors. I would wear them everyday if I could. I have already recommended these shoes to several men who complimented the look. They are feather-lite and comfortable. I love them. Exactly as shown and expected. Comfortable to wear. Very comfortable for everyday wear. Looks great with jeans and/or suit pants. Somewhat surprised as far as how thin the leather is, but that is just my taste I guess. Outstanding, good looking, and comfortable! I’m wearing them now. Another great Cole Haan product. Cole Haan is the only shoe product I buy. It is the best! A little narrow in the heel. Love the style and comfort. If you are thinking about it go ahead you will not regret it. Very comfortable straight out of the box. Very stylish. I bought the brown leather chukka. Shoe looks great. No break in period. The light weight and comfort of this shoe is perfect for being on your feet all day. Shoe is pretty close to size, just runs a tad big. Like all leather shoes, it also scuffs a bit. Otherwise, shoe is great and I may buy another later. The fit is good. The style is good. The comfort is not as good as other Zerogrand footwear I have. Would buy again, however. I had been watching this shoe and waiting for a bit to purchase it. I was very excited only to find an additional surprise. When the shoes arrived I immediately opened it to find that it is one of the lightest pairs of boots I have ever owned. They weigh so little that I immediately began to look inside the shoe and box to try to find whether it was an authentic Cole Haan product. I have to say, the color is attractive and the combination just works. I did notice that the toe box is slimmer as previous Chukkas have been wider. However it did not create an issue of discomfort to my foot. This is a comfortable and attractive boot and I would highly recommend it to anyone. Comfortable shoes that is very versatile. I get lots of compliments and primarily wear both business and casual. Staff was very courteous and met my every need. I love the direction of shoes that Cole Haan has put on market last 2-3 years. 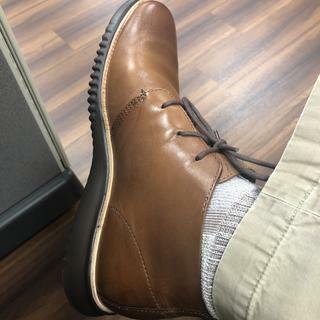 I have several pairs of previous version Chukka's and these are a noticeable better and I am a real fan of those. The sole is an improvement, as well as, it has three shoelace holes which provides both better support and looks. These are the best Chukka's yet! Super comfortable and light weight. My second pair of Zerogrand chukkas. I definitely recommend these shoes. Super light and comfortable. I knew these would be good but pleasantly surprised on how great they are. Highly recommend these for casual and smart casual dress. These shoes were very comfortable straight out of the box. I can dress up or down with them. They go well with everything from jeans to suits to everything in between. I was apprehensive originally because of the price. I was thinking I could get two pair for what these cost but I really liked them so I purchased anyway. When I received them I was impressed. Very comfortable and head turners. I have been wearing this brand for almost 20 years. Want to try it out, this is my first! I think they'll look super cool. They just look awesome and will fit nice and comfy as usual. Perfect shoe for formal and casual wear! My husband needed something just like this. l like the style and look comfortable. Because I liked very much, but was very difficult to funded. 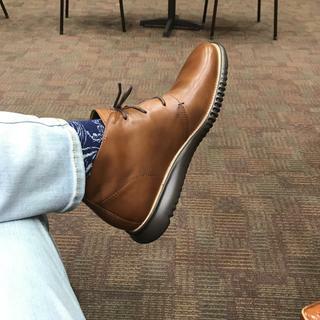 Comfort is a given with Cole Haan, so that wasn’t a concern. But this chukka’s color combo is beautiful, so I added it to my collection. Looking for a clean style that pairs well with jeans. they are the only brand i can wear to relieve pressure off my knees. Great comfort and style that stands out with many ways to dress up or down. This is my 2nd pair. The quality, fit, and light weight are the reasons. Great work/play balance + comfortable to wear all day. At my age, I need a shoe that is comfortable yet appears classy! No better shoes than Cold Haan, and I like the style of this particular item. 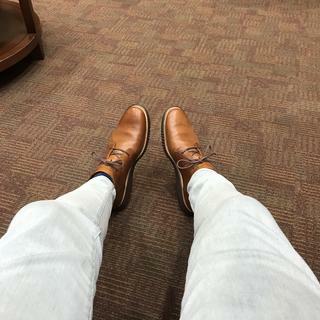 I love cole haan shoes and I have 10 pairs! adding more one to my shoe family. The style looks nice for everyday use. 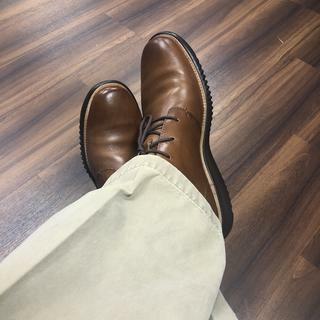 I have several pairs of cole haans, but have never had a pair of chukka's, so I was excited to try a pair out. Bought my 2nd pair because of my love for the first! Loved the finish on the leather for these shoes. They look professional, but relaxed at the same time. I have over 10 pairs of Cole Hana shoes and you guys deliver on style and comfort eveytime. when will you have size 11 in british tan? BEST ANSWER: The 2.0Grand Chukka is a limited production style and no longer available from us. However, try an online search to find availability at our retail partner stores. Use quotation marks: "Cole Haan 2.0Grand Chukka". Good luck! Not a single retailer carries these. Please bring them back!! They are amazing! All other chukkas are "meh!" what is the heel to toe drop on these boots? BEST ANSWER: Too much. My feet kept sliding forward to the toe box. Are these true to fit? BEST ANSWER: they are narrow. I normally wear regular width, but had ti get wide to get the right fit in those. They are a true fit length wise and rather narrow in width. Need wide and one 1/2 size longer. Yes they are true to size. Are they ok to wear during summer months? BEST ANSWER: Yes they are. To my surprise when I received them they were very lightweight so I wear them all year long with khakis and jean's. Depends how hot it is outside. They are very light, so technically you can, but most would not wear chukkas in the summer. Yes. These shoes are very lightweight so make a great summer boot. Yes but only in the evening. Very Hot nights No. does this have a removable insole? What is the recommended care for 2.zerogrand chukkas? Which shoe cream should be used with the British tan leather-java color? The british tan looks a little reddish online. Is the neutral color better? Or is leather conditioner sufficient to use instead of the cream? BEST ANSWER: I treated mine with a weatherproofing spray prior to the initial wear. If there's a scuff or blemish, I just just a little conditioner. I use neutral color cream-works well. is there a matching belt for the British Tan/Java? I have two british tan Cole Haan belts and they are either to dress or not matching in color. 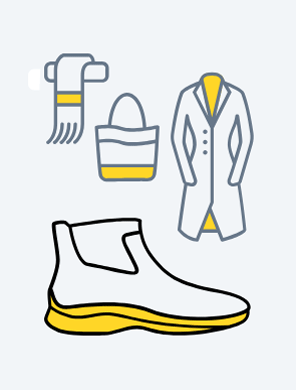 BEST ANSWER: While we do not make belts and shoes to match exactly, we prefer to recommend wearing complimentary colors. For instance, a belt in Woodbury would coordinate nicely with one of many shades of British Tan, Papaya, Sequoia or other warm brown color - and vice versa! BEST ANSWER: The 40% Off Clearance ended 2/15, but if you register your name and email address (we don't share) at the website, you will receive a 10% discount code in a separate email, as well as advance notification of upcoming Sales, promotions and new styles. In another product a Cole Haan customer service rep said the leather conditioner will make things water resistant, is that true? BEST ANSWER: No, leather conditioner makes leather softer and more supple by adding moisture. Both of these styles are made from fine, soft leather that has NOT been treated to be waterproof. Wear in the dry weather! On a different thread a Cole Haan Customer Service Rep said the Leather Conditioner will make shoes water resistant, is that true? BEST ANSWER: No, that is incorrect. Leather conditioner makes leather softer and more supple by adding moisture. Any Cole Haan waterproof leather styles are crafted from leathers that have been through an exclusive process and treatment that makes the leather water resistant. Where are the narrow widths??? BEST ANSWER: their normal width is actually fits narrow. I had to purchase wide. Normal width was too narrow for me. I got a splot of black oil on them and tried several things to get it out - soap, cornstarch, etc. Anything I can do? !